The World's most comprehensive listing. in addition to the scores of VHS tapes and DVD titles also available. To visit the New PZ Shop, click here. so that Amazon.com will flip the PZ some chump change! The art of putting (LaLanne-Barber 1967), 24 pp. The EOB alignment and putting system: 5 Steps to Better Putting (MDK 1999), 44 pp. spiral bound. Secrets to the Short Game -Pitching -Chipping -Putting (Bost Enterprises 1983), 93 pp. Chipping and putting;: Golf around the green, (NY: The Ronald Press Co., 1961). The good sense of golf (Prentice Hall 1980). Hardback. Out of print. Chapter 3 on putting. Anything on putting by Casper must be read. And Al Barkow is the best writer on putting, bar none. The Bob Charles Left-hander's Golf Book New Edition (Bootlegger 1993, reissue of Prentice-Hall 1965). Hardback, 127 pp. If it's by Bob Charles, you should read it. He's famous from the 1960s for testing his golf balls for roundness and balance and in general bringing a meticulous professionalism to the art of putting. And he is a very articulate and faithful reporter about the art. Golf for Seniors (Pelican Pub. 1994). Hardback, 128 pp. $13.96. If Charles wrote it, it's worth reading. Ultimate Putting - How to Master the Art of Putting (Ultimate Books 2000), 113 pp. Approaching & Putting, The Key to a Lower Golf Score, Detailed Advice from Twelve Outstanding Pros (NY: 1953). OOP, Hardcover, 150 pp, 12 pros give tips. Great Putting--Right Now! Mental Keys to Confident Putting (AUDIO) (Peak Performance Sports & Publications 1998) (Audio Cassette). The Mental Art of Putting: Using Your Mind to Putt Your Best (Diamond Communications 1995). Hardcover. $13.96. The most comprehensive sports psychology book for putting available. Cohn's and Winters' presentation of specifics is vastly superior to the general feel-good ramblings of more widely known sports psychologists, including the best-known ones. An excellent book! 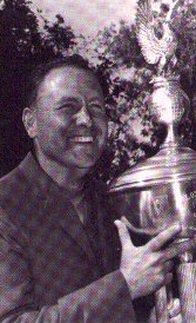 Publisher: "Legendary golf instructor Harvey Penick has said, "Golf should be learned starting at the cup." Now golfers of any skill level can learn how to putt smoothly and accurately with this easy-to-follow, comprehensive guide, loaded with instructional photographs, informational sidebars, and valuable suggestions. Step-by-step practice drills fill the pages, along with important tips on such topics as using the proper equipment, making your putter fit your stroke, and avoiding common problems with stance and grip. Even guidelines for proper green etiquette are included. Since statistics show upto 43 percent of golf shots are putts, here's your chance to improve your handicap--easily!" New angles on putting and chip shots (Reilly and Lee 1960), 48 pp. The Art and Science of Putting (Masters Press 1996). Paperback, 224 pp. $11.96. An excellent explication of putting basics, with sound biomechanics principles and good common sense suggestions. Probably the most info-packed and useful technique book for the beginner up to advanced putters who haven''t read a lot of instruction books on putting. This book is much more useful and clearer than Pelz's book on the common ground covered by both, and it goes well beyond Pelz for many topics. Golf Short Game Mastery: The Art of Mind/Body Communication (Thompson Shore, 1999). Paperback. 71pp. $9.95. Accompanying video sold separately. Dennis is a former collegaite golfer from Houston who learned from Jackie Burke and others. His brother Clark is a PGA Tour golfer. Sidetracked by a back ailment, Dennis now teaches out of Plano, Texas, next to Dallas. At the 2000 Colonial in Ft. Worth, he met Nick Faldo, then in his three-year putting slump, and Faldo took a lesson or two. Later, at the Pebble Beach 2000 US Open, Faldo was the top-ranked putter - quite a jump for him, since he has been hovering as low as 180th on Tour. These days Faldo ranks around 30th on Tour, so his putting seems to be back. Dennis did not get too much credit, but he was recognized in newspapers in England, where Faldo's every move is watched closely. Still, Dennis' teaching boils down to a single swing-thought of thinking about "feeling" the target with your hands and pretending the stroke is a "pointing" at the target. Faldo is notorious for trying any instruction, like a magpie, so his improvement is probably only partially attributable to Dennis' tip. The book is a little bit on the gobbledy-gook side for logic and clarity, but at least it's good gobbledy-gook -- being instruction that focuses on the brain and body more than on robotics or simple prescriptive mechanics. I met with Dennis in March 2001 for several days to learn about his approach, and I can say he is a very nice, simple person who eschews complication like the plague. He is currently working on a book with a writer friend, so we should hear more from him in the next year or so. How to putt (Wilson athletic library) (TE Wilson 1922), 47 pp. See It and Sink It: Mastering Putting Through Peak Visual Peformance (Harper & Row 1997). Hardback, 199 pp. $23.00. This is a book that deals with the eyes in putting, by an optometrist from Denver. The author strains to be expert on green reading, too, but the section is not well conceived. (Many will recall Farnsworth's receiving credit for Nick Faldo's winning putting performance at the Masters in 1996. Not long thereafter, however, Faldo's putting sank out of sight, down as low as 180th on Tour in putting stats, for four years. After taking putting lessons from Eben Dennis in 2000, however, Faldo putted first at the 2000 US Open! His recovery seems not to have lasted.) Altogether, Farnsworth's effort is a disappointing book on an important subject. Lawrence Lampert's book Pro's Edge is much better on the sports vision of putting aspect, as is the book by Drs. Tony Piparo and Steve Kaluzne (see below). Farnsworth, for example, as is typical of optometrists tackling golf issues, brings a clinical perspective that does not mesh well with golf reality. His "bead string" exercises to train out anistrophies in eye-teaming motions (esophoria, or eyes converging "short" of the target object, and exophoria, or eyes converging "long" of the target object) during convergence and divergence on targets nearer and farther is grossly oversold, as Farnsworth appears completely unaware that eye vergence is only one of about 15 cues used by the brain for distance perception / appreciation, that among these cues vergence is the LEAST POTENT cue, and that vergence matters none at all past about 20 feet since at that point both eyes are aimed parallel like a camera lens set to "infinity" and there is effectively NO binocular vision beyond 20 or so feet as an aid to distance perception. The green reading section is mostly limited to where to stand, and does not actually discuss how perceptions are generated or processed. All together, this is not a path a golfer wants to travel down, as the implicit assumption is that unless you follow the good "doctor's" clinical prescription, your putting visual processes will necessarily be flawed. I posed this question to Jim Furyk (whether his eyes verging long or short of the hole in putting caused him to putt short or long), and he responded quite sensibly that he didn't know what esopghoria or exophoria might mean, but he was quite sure that if he had either condition, he had adjusted to it long ago, since he didn't leave putts long or short any more if he ever did. This basic lack of "reality check" is unfortunately typical of people coming to golf from a specific clinical expertise -- the assumption that clinical science is approriate for golf skills is not usually the "good fit" people think it is. Precision Putting (Precision Golf Series) (Human Kinetics 1999). Paperback, 153 pp. $16.95. Frank is the Editor of Golf Magazine and "co-writes" most of Pelz's contributions therein. Frank's stuff is starting to appear online more as an independent guru. This book is a basic overview of putting. It's pretty conventional, but fairly useful to amateurs. The Elements of Scoring: A Master's Guide to the Art of Scoring Your Best When You're Not Playing Your Best (Simon & Schuster 1998). Hardback, 256 pp. $13.65. Raymond Floyd has always been one of the better putters on Tour, but more than that he has very interesting comments and tips about the art of putting, including green reading and some of the more subtle aspects of the art. Very articulate and thoughtful writer, too. From 60 Yards In: How to Master Golf's Short Game (Harper & Row 1989). Hardback, 163 pp. An earlier Floyd book that has keen insights into putting. The chapter on putting is a concise and excellent presentation on grip, setup, green reading, and "touch" putting emphasizing comfort and feel. Improve Your Putting (Good Golf Guide Series) (NY: Smithmark, 1995). OOP, hardcover, $14.70. Foston produces a number of golf instruction books, including the Encyclopedia of Golf Techniques, which is not bad. The Putter Principle: Golf's Greatest Legends Discuss the Ultimate Stroke (Walnut Grove Press, 1997). Paperback, 160pp. $6.95. A compilation of quotations about puting by great golfers. Pretty interesting little book.